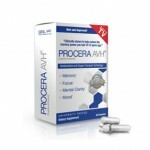 Procera AVH is quite a popular brain supplement that we’ve only recently had the chance to try. 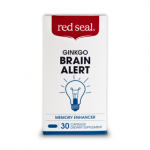 It’s been reviewed and critiqued by a number of different websites, and to many, is one of the best memory enhancers available on the market. It has a huge following online, and is sold on a number of different channels – which hints at its overall reach in the market. This is also great so that when you want to compare reviews, it’s fairly easy to do so. Procera AVH comes from the Procera brand, along with a number of different other products by the company all focused on brain health. 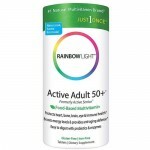 They have supplements ranging from a focus booster, to a brain detox, to even a sleeping aid. As far as we know, though, Procera AVH was the very first supplement in that line, which is also why we can say that it’s more well-known than the other supplements from Procera. 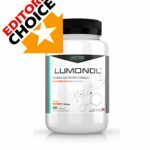 Unlike some of the other supplements that we’ve reviewed here, you’ll also notice that Procera AVH isn’t actually a true nootropic, but is actually only limited to being a memory enhancer. For those of you who don’t know, the difference lies in the effects. 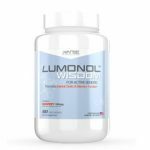 While a memory enhancer only affects matters like information consolidation, short and long-term memory, and brain health, a true nootropic’s effects are better-rounded overall, affecting not only memory, but often also focus, alertness, energy, and even creativity. Checking out their website, we were pleased to see such a clean, professional looking page. Don’t let that fool you though, the marketing copy used on the site is very punchy and sensationalized at times. Still, we commend them for the fact that they’ve included a supplement facts label – something we can’t say the same for other manufacturers. Behind the medical terms though, Procera AVH is actually quite simple and ingenious in the way they base their whole formula on three key ingredients: Acetyl L Carnitine, Vinpocetine, and Huperzine A (we’ll get more into that later!). However, we do appreciate the time they’ve taken to compile a very long FAQ section as well as a Resource Center for any novice users looking for a little further reading. We’d like to thank the manufacturers of Procera AVH again for including the supplement facts label on their website. While it may seem like a minute detail, which could have been just a Google Images search away, we appreciate their transparency. A lot of other companies don’t do this, but definitely should. 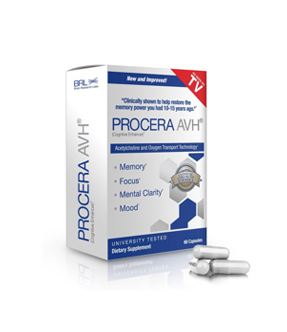 One look at Procera AVH’s formula will have you immediately double-taking and questioning yourself: is this really all that’s in this $39.99 box of memory pills? That’s what a lot of us here thought when we first saw the formula, as there really are only the three ingredients mentioned earlier. Strictly speaking, the fact that there are only three ingredients make the formula pretty potent. While a lot of other supplements may have anywhere from twenty to even fifty ingredients in a single supplement, it’s a good exercise to think about how much there really is of each ingredient when you can only fit so much in one pill. In that regard, there is more than ample room for each ingredient in Procera AVH given its super short list of formula. On the flip side, however, the short list of ingredients also mean that the effects you get from Procera AVH may also be a short list. It’s all about finding a balance of potency and overall effects, and in this case, it seems Procera AVH may be all the way to one end of the spectrum. 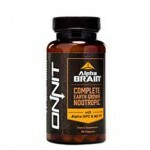 Acetyl L-Carnitine: As an acetylated version of Carnitine, ALCAR offers more mental benefits than physical due to its ability to cross the brain-blood barrier. 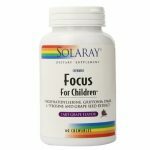 It primarily affects an increased production of the neurotransmitter acetylcholine, which is responsible for memory, learning, problem-solving, analysis, and cognition. As much as we love its potency, we have to say that Procera AVH might have gone a little overboard. 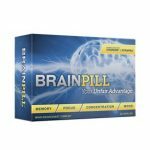 3 ingredients could make a solid base for a nootropic stack, however, it would have to be priced more competitively. At the very least, we would have liked to see the addition of Panax Ginseng and Ginkgo Biloba. Still, Procera AVH is a great foundation – perfect for any newbie looking to dip their toes into brain supplements. Our tests with Procera AVH lasted for a whole 45 days. We had a few volunteers come in to our lab (aged 21-44) who agreed to take Procera AVH continuously and write down their findings in a journal. They also had to come report back with our lab every two weeks for general cognitive performance tests. Overall, we have to say that our volunteers liked Procera AVH a lot. Vinpocetine and Huperzine work well together in most cases, and with the addition of Acetyl L-Carnitine, we weren’t surprised to see so many positive journal entries from our volunteers. From the very beginning, we already heard news of improved short term and visual memory. People could remember more things in everyday life – things like names of people, meeting agendas and highlights, and information from class lectures. Over the course of the test, there were also some nice improvements in long-term memory, where some of our volunteers even noted learning had become a breeze. It was easier to study for an exam, learning a second language became a cinch, and even mastering musical instruments were more enjoyable – thanks to the aided learning abilities. The only negative we heard were from a couple of our volunteers (these were separate cases) who reported mood swings and other bouts of depressive symptoms, but after we cut Procera AVH from their regimen for half a week, they got better. The rest of the test went fine for them. Aside from that, Procera AVH didn’t really do much for our volunteers’ focus, problem-solving ability, or motivation. Sad to see that a great formula was lacking just a bit due to some other missing key ingredients. Perhaps they’ll be able to improve upon it in a future formula. For all intents and purposes, Procera AVH is strictly a memory pill rather than a true nootropic. Surprisingly, the reviews we read of Procera AVH were a toss-up! We were almost a completely sure that we would be seeing a lot more positive than negative reviews, but there were just as many negative reviews as there were positive reviews. I have been using Procera since it first came out and I saw in advertised on television many years ago. I do not use it daily…..I use it only when I need it —- take it a few days and then get back off of it. It does work. When I get to the point I can’t remember where I put the last thing I picked up….that’s when I start taking Procera again. It really does work on me and is a great memory booster. I have been using Procera AVH & Cereplex for approx 3 years. I started with once a day early and Cereplex that night. In less than a week I noticed my memory was distinctly better. It was pretty bad, disturbingly bad to begin with so perhaps my case is unusual. I DO continue the same except not every day. My first shipment came with a book, 20/20 Brain Power. You must read the book! In order to maximize results you need to exercise the gray matter. I cannot account for the very many negative reviews here except it may not work for everyone. 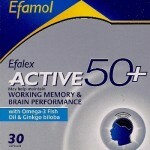 Added to that are negative reviews based on a bad reaction which do not dispute its efficacy for memory. It works for me. It works well and I tell people about it. A word of caution… I don’t know if Procera does what it claims or if it safe or not, but I can tell potential buyers that the company uses shady tactics and hard sell so I suggest being wary. I received a hand written letter with a “newspaper article” in it from someone signed with the letter -J. I thought it was my brother who often signs this way, and I ordered Procera. I was told repeatedly that I could cancel my order at any time for a full refund. I discovered that the letter hadn’t come from my brother or anyone I know, so I called back the next morning and was told that I couldn’t cancel for 72 hours. Hmmm. I run a software company. There is no reason for that, other than to discourage people from cancelling. I called again the next day and asked if orders could be cancelled and couldn’t get a straight answer. “well, it depends…”. Every time I spoke with someone I got the hard sell and had to ask them politely to stop up-selling me. I haven’t gotten my money back yet but and I’m pretty nervous about them having my credit card number. After purchasing the product, research uncovered some recommendations not to use this with certain other medications or conditions. The company says they have a 30 day moneyback guarantee….not so… it’s only if you buy directly from the company. First time I’ve ever heard of a product not being guaranteed just because it was sold by a distributor. On the plus side, no obvious side effects. As far as we were concerned, there really weren’t any adverse side effects from Procera AVH (aside from the mood swings). If this occurs to you, please try coming off it for a few days and try again at a slightly lower dosage before returning to normal dosage a few days later. Online, we weren’t really able to find anyone complaining about any adverse side effects, except for a couple reviews claiming that it can cause a slight headache. 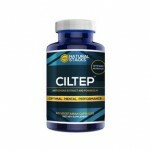 Always remember to keep yourself hydrated when supplementing with brain supplements. A box of Procera AVH contains 60 capsules and goes for $39.99. 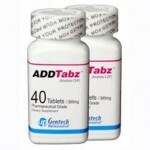 With the recommended serving size of 3 capsules a day, you will be running out in around 20 days. While it isn’t mentioned on their site, we believe this is due to the ingredient Huperzine A and the fact that you have to cycle it to keep its maximum effectiveness. After 5-7 days, we advise you take a day or two off to return to ‘baseline’, before taking Procera AVH again. Also, by doing so, your 20 capsule box will last closer to a month. If you would like to take more than the recommended amount, however, or take these without any off-cycles whatsoever, a month’s supply should cost you closer to $60. While we’re trying not to be too hard on them here, we have to say that Procera AVH is a little on the pricey side of things for having just 3 ingredients. 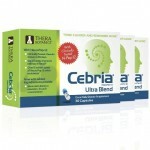 The doses are high though, so it is a potent brain supplement. It being such a simple formula, you could probably mix your own for substantially less money. We really love what Procera AVH is trying to do here. The company is differentiating its product by trying to make it more potent in an industry where everyone seems to be doing the opposite. 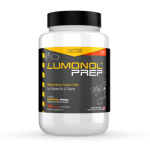 The basis of its formula is great, having only three key ingredients: Acetyl L-Carnitine, Vinpocetine, and Huperzine A. Speaking of Huperzine A, due to its inclusion, we can’t advise you to take it continuously every day, as Huperzine A needs to be cycled off for a couple of days after around a week of continued use. We would have also liked to see the addition of Panax Ginseng and Ginkgo Biloba, but it is a fine – albeit slightly lacking – formula on its own. Its effects to memory is really where Procera AVH shines the brightest. Aside from some minor mood swings for a couple of our volunteers, Procera AVH mostly excelled in not only improving short and long-term memory, but also in making learning an absolute breeze. This is something that all memory enhancers should strive to be able to accomplish. Aside from that, however, Procera AVH is let down by the fact that it doesn’t really do much beyond that. While we are indeed looking for the best memory enhancer, enhancements to other cognitive areas are a plus that we need to consider too. And with the price of $39.99, there are still a few out there that can do exactly what Procera AVH does, and more.